This project is pretty cool. 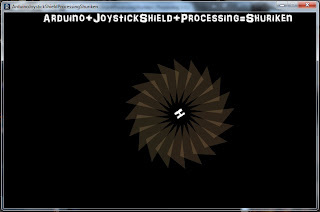 It consists of using one Arduino with a Joystick Shield for sending data to the computer, and then reading that data from Processing to create a (sort of) Shuriken and move it with the joystick. This project is divided in two parts: arduino code and processing code. Hardware stuff needed: just one arduino with a joystick shield. Joystick Shield consists of 4 big buttons and one pushable Joystick (another button), for this project we'll only be using the joystick. The joystick consists of two potentiometers, so we need to read them as normal potentiometers using the analogRead() function. Remember these values differ from 0 to 1023. With the joystick, the values we'll usually get from it when we are not touching it are near 500 (standard position). This means that when we read something really close to 500, we do not want our shuriken to move and it will keep its position on screen. Here's the tough part of the project. 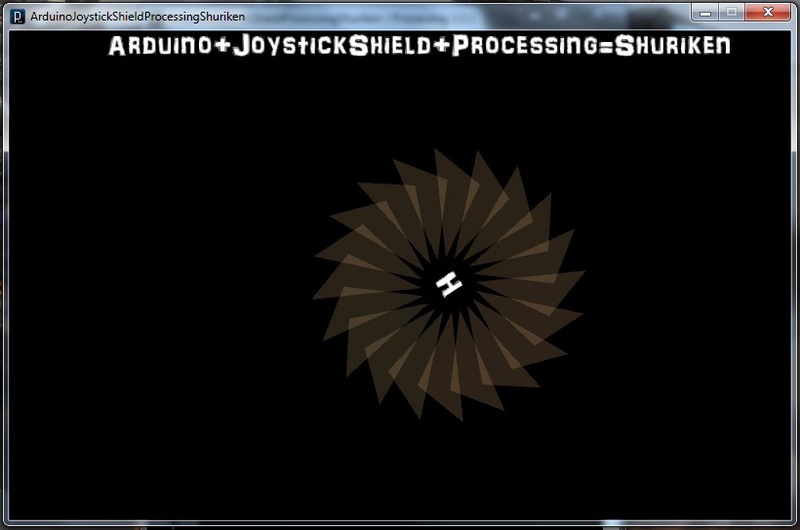 The shuriken is made by drawing and rotating several triangles, this figur, in order to be displayed around the screen, needs to be translated, we will use translate() function to do so, this function asks for two values, x coordinate and y coordinate, so we'll use the joystick coordinates, this way we'll see our shuriken moving. Now you only need to upload code to your Arduino, and run the sketch. I'll add both sketches here for download, for easier reading and testing. I'll also add one image of one cool expansion you could do with the code. 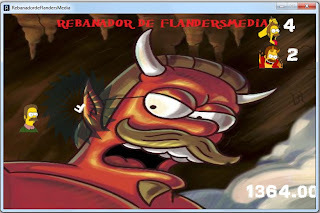 I made one mini-game, which consists of killing flanders with the Shuriken and getting points racing against time.